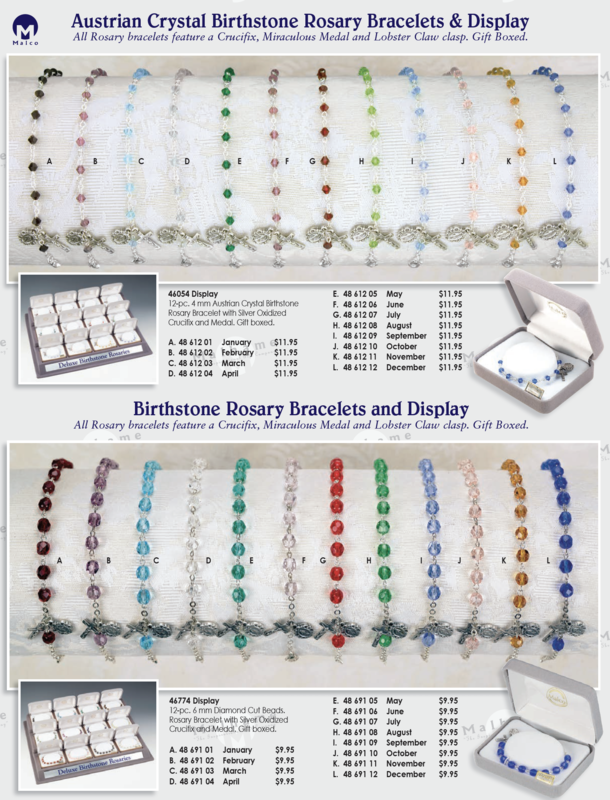 All Rosary bracelets feature a Crucifix, Miraculous Medal and Lobster Claw clasp. Gift Boxed. Crucifix and Medal. Gift boxed. 12-pc. 6 mm Diamond Cut Beads.